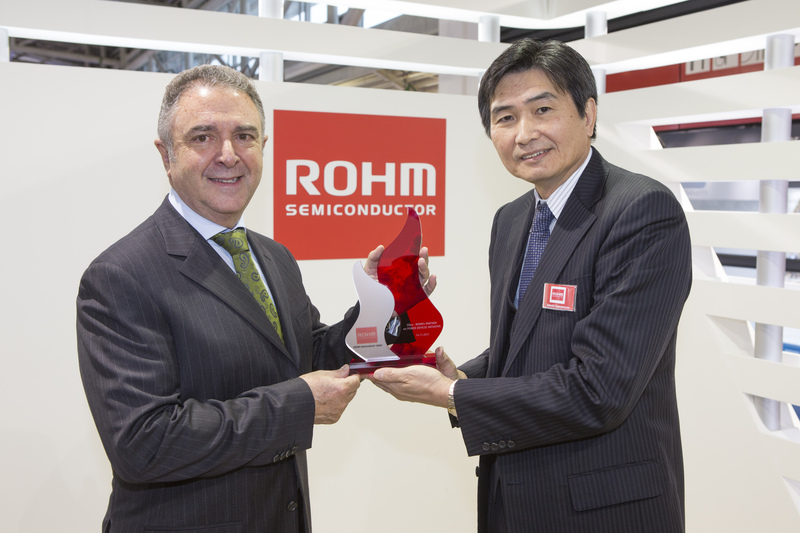 ROHM Semiconductor announced that it has awarded Semiconductor distributor SILICA for its support in driving demand creation for the Silicon Carbide Power Devices across Europe. The award was given in recognition of Silica’s outstanding performance and proactive support for ROHM’s technology to customers across Europe. SiC is widely expected to be used for the next generation of power devices due to its superior electrical characteristics, resulting in power devices with lower power loss. ROHM Semiconductor has invested extensively in R&D on SiC power devices and modules and already started mass production on SiC SBD, MOSFETS, and Modules. “What a great acknowledgement for Silica. Being recognised with this award is a fantastic way to thank our teams for their expertise and efforts in providing first class support to customers. 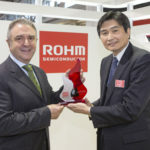 We are looking forward continuing and further expanding our relationship with ROHM,” commented Miguel Fernandez, President SILICA, during the award reception at Electronica.